Formed in the summer of 2015, Illiterate Light transcend expectations of typical rock music through their limitations as a duo. Jeff Gorman elevates his gritty guitar melodies and honest lyricism by stomping out thunderous synth bass with his feet as Jake Cochran layers lush vocal harmony and explodes with body convulsing energy around his minimalist standing drum kit. 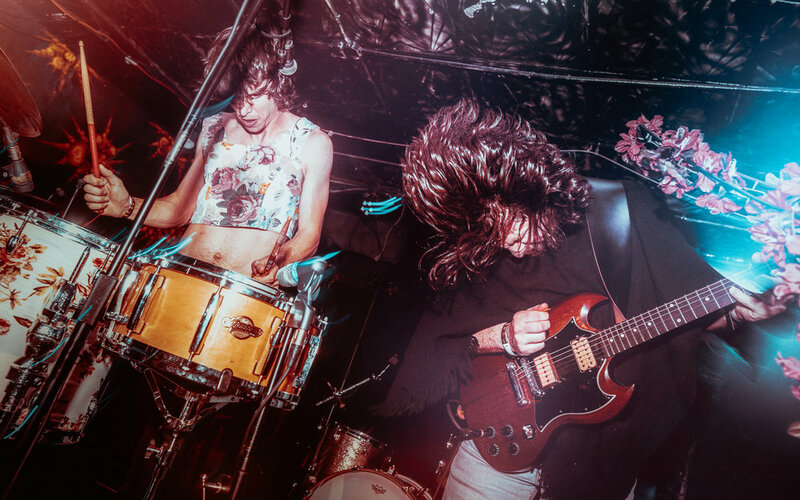 Gorman and Cochran’s incessant writing commanding live performance and constant touring promise a bright future as they finish their debut album with Vance Powell (Jack White Kings of Leon Chris Stapleton) and Adrian Olsen (Foxygen Natalie Prass). The recently released EP 'Sweet Beast' is the first taste of what’s to come from Illiterate Light. Spanning the better part of a decade the creative evolution between Gorman and Cochran is far from ordinary.